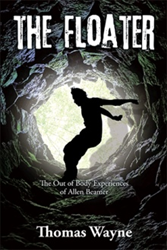 Discussing the dangers of the occult and the leading of the Holy Spirit, Thomas Wayne’s “The Floater: The Out of Body Experiences of Allen Beamer” (published by Xlibris) is the story of a young man from a Christian family who has started dabbling into the occult practice of astral projection. The book is subtly evangelistic but with a title to entice those interested in the occult yet having a Christian message, with the hope to reach them for Christ. In the book, readers will meet Allen Beamer, a non-Christian who dabbled in the occult; Jenny, his girlfriend who takes a risk to help him; Papa, who was a preacher before he died; and Grandma, who was always singing hymns. Through reading and having had similar experiences when he was younger, Wayne was able to write and create the book. The author believes that the Christian message, along with out of body experiences, makes his book different. “We should listen to the Holy Spirit and not the devil,” the author says. The angels are empowered by our prayers. Thomas Wayne was raised in a Christian home in Georgia with two siblings. He received his Bachelor of Arts degree from Berry College and his master’s degree from Southwestern Theological Seminary Fort Worth, Texas, with doctoral studies at Florida State University. He is married, and has three children and eight grandchildren. He has had music published by Broadman Press and Praise and Worship Music through CCLI Christian Copyright Licensing International. Wayne also loves painting, crafts and working in the garden. For more information, readers may visit http://www.authorthomaswayne.com.